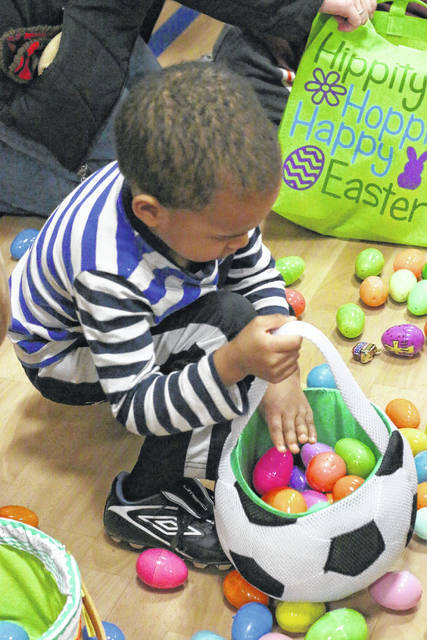 GALION — With the approaching Easter holiday next weekend, many local churches and organizations have events planned to keep kids and families in the spirit. Galion Alliance Church at 930 Portland Way North is holding an ‘Eggstra’ Special Egg Hunt on Saturday April 20 from 10-11:30 a.m. This event is part of the PB&J Ministry (Precious & Beloved by Jesus) and is planned specifically for special needs children and their families, but all children are invited to attend. Along with an egg hunt, there will be live animals, and Easter “Tour”, a bounce house, snacks and crafts. Wesley Chapel will hold its annual Easter Egg-stravaganza Saturday April 20 beginning at 2 p.m at their property on Dawsett Avenue between First and Second avenues. This event is for children ages 0-12 years old and includes an egg hunt, prizes, games, and food for the family. A Community Easter Egg hunt sponsored by St Joseph ‘s Catholic Church, Christ United Methodist Church, and St Paul’s Methodist Church will take place beginning at 10am on April 20th at Peco Park on SState Route 598. Cookies and cocoa will be provided, and the Easter Bunny will make an appearance. The Galion Fire Department will also be at the park for children to visit. In case of rain, the event will be moved indoors at St. Paul’s Methodist Church on the corner of Portland Way South and Cherry Street.